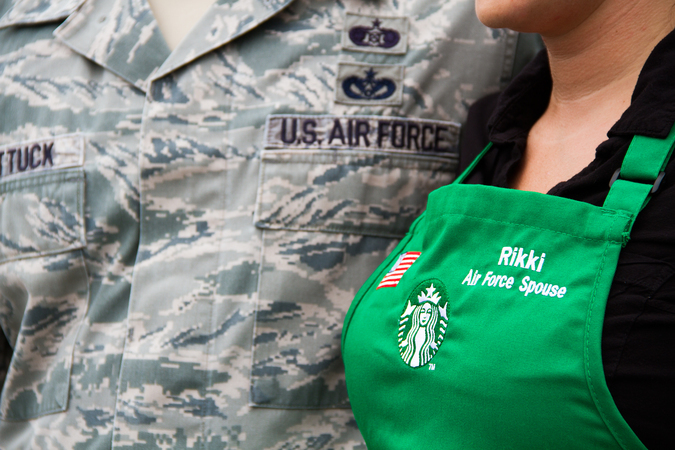 Starbucks and the USO are committed to serving those who serve. 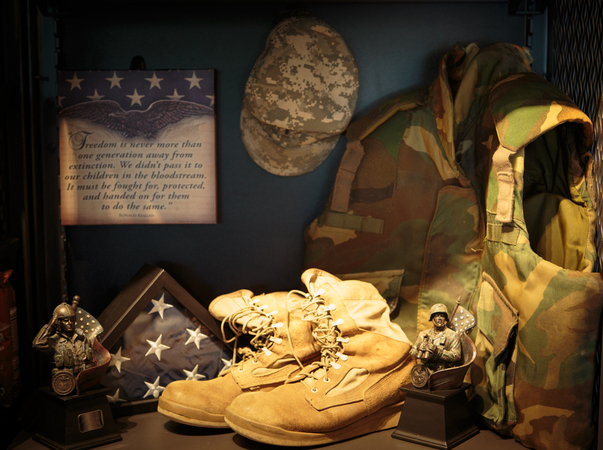 Together, we are dedicated to supporting service members and their families in their transition from military to civilian life, and to fostering a spirit of connection and understanding between the civilian and military communities. Starbucks recognizes the valuable skill sets, leadership and experiences that veterans bring to both business and our communities. In November 2013, Starbucks announced a commitment to hire 10,000 veterans and military spouses by 2018, already surpassing the halfway mark to that goal. 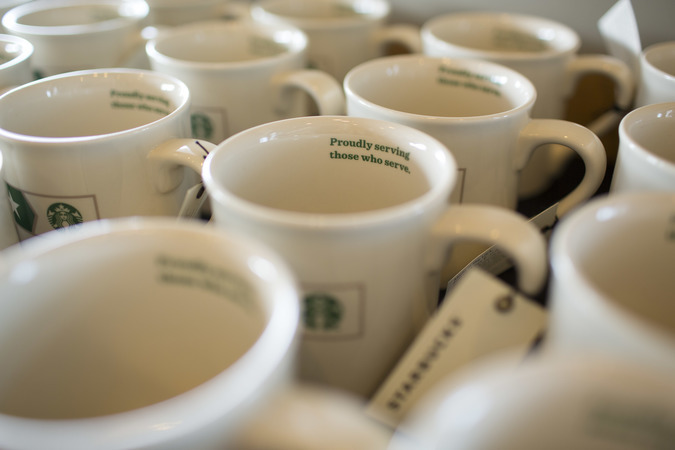 Starbucks is also committed to deepening relationships with local military communities. 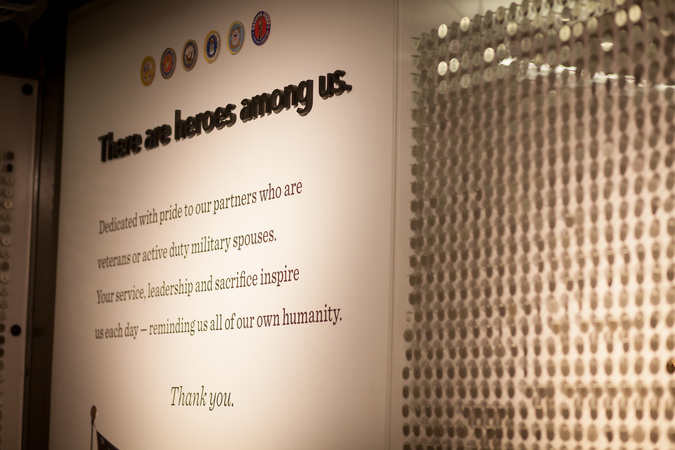 In the past year, Starbucks dedicated twelve Military Family Stores, with many more on the way. Learn more about Starbucks commitment at starbucks.com/veterans. Since 2009, Starbucks has donated over 400,000 packages of Starbucks VIA® Instant to the USO to distribute to deployed service members, along with thousands of pounds of coffee, K-Cup® packs, pastries and coffee machines for use in USO centers around the world. Beyond giving our service members a taste of home, Starbucks has been a supporter of USO alliance partner Hire Heroes USA through both funding and Career Opportunity Day hosting. And that’s just the beginning. 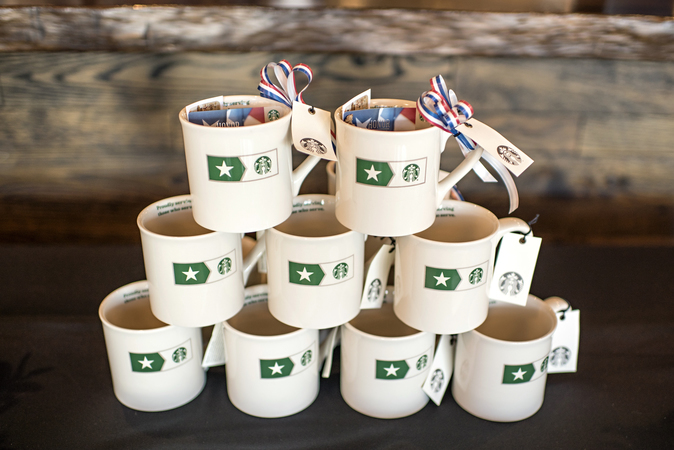 In honor of Veterans Day, Starbucks was proud to team up with the USO. From November 1–11, Starbucks donated $5 from the online or in-store purchase of every Veterans Starbucks Card to the USO Transition 360 Alliance and made a matching donation for every Starbucks VIA® Instant Coffee purchased online to the USO for delivery to active duty servicemen and women stationed around the world. 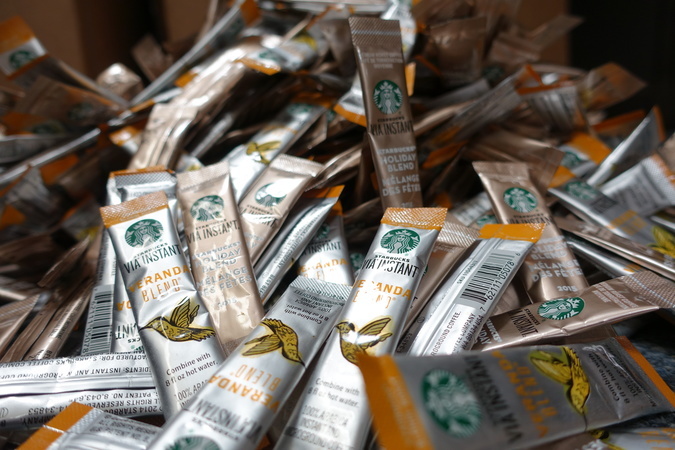 Starbucks partners also had the option to donate their weekly product benefit to the USO in support of service members. Through this campaign, Starbucks and its customers raised approximately $455,000 for the USO and will provide thousands of VIA® to service members. 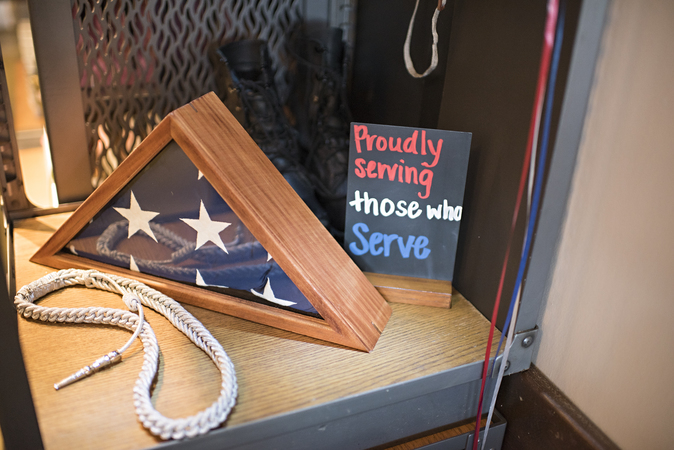 Providing a hot cup of coffee is one way USO centers keep service members connected to home and traditions during times when they may be missing them the most. 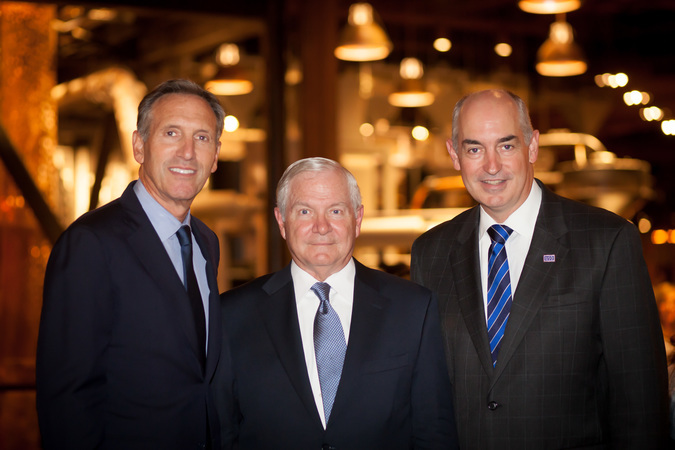 Howard Schultz, Starbucks chairman and CEO, Robert Gates, Former Defense Secretary, and Dr. JD Crouch II, USO president and CEO, come together to discuss bridging the military – civilian drift at the Starbucks hosted Muster.